Egyéb információ. 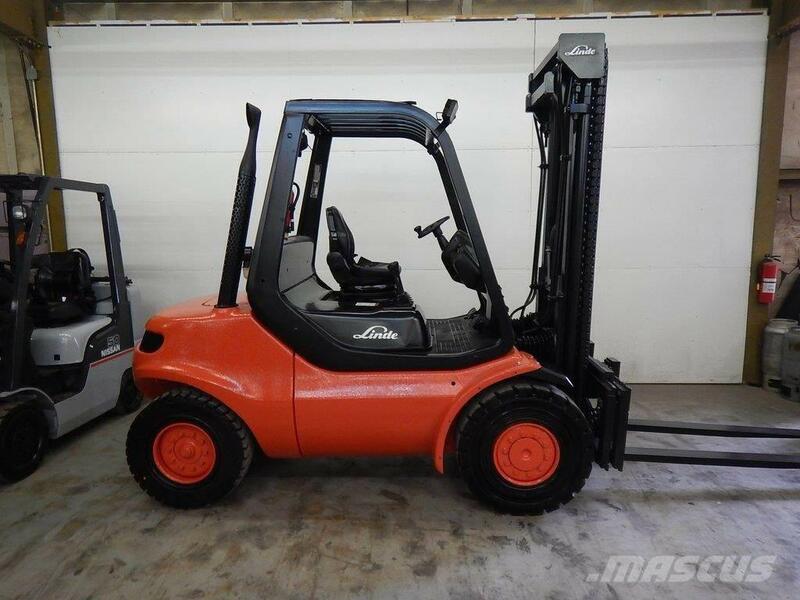 Description: This is a 2000 LINDE H45D forklift in GREAT CONDITION. Great PNEUMATIC TIRES, 10,000 LB lift capacity, 3 STAGE FULL-FREE mast. SIDE SHIFTER (Allows the carriage to move from side to side while carrying a load). FORK lift height 225" and lowered mast height is 108" Automatic transmission - Strong PERKINS DIESEL ENGINE. Call us with any questions at 716-568-4135 - available 7 days a week. Comes with 72" FORKS, ONLY 3,856 HOURS. FINANCING AVAILABLE FOR ALL CREDIT TYPES. OWN FOR ZERO DOWN AND $425 PER MONTH. 100% TAX DEDUCTIBLE... Call us for more details.